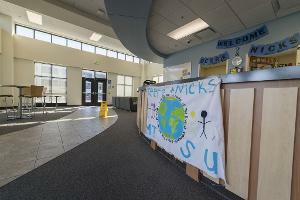 Nicks Hall stands among the lawns and trees of the east side of campus, immediately adjacent to the new library. Residents who enjoy basketball, working out, or swimming live just a few minutes' walk from the Campus Recreation Center. 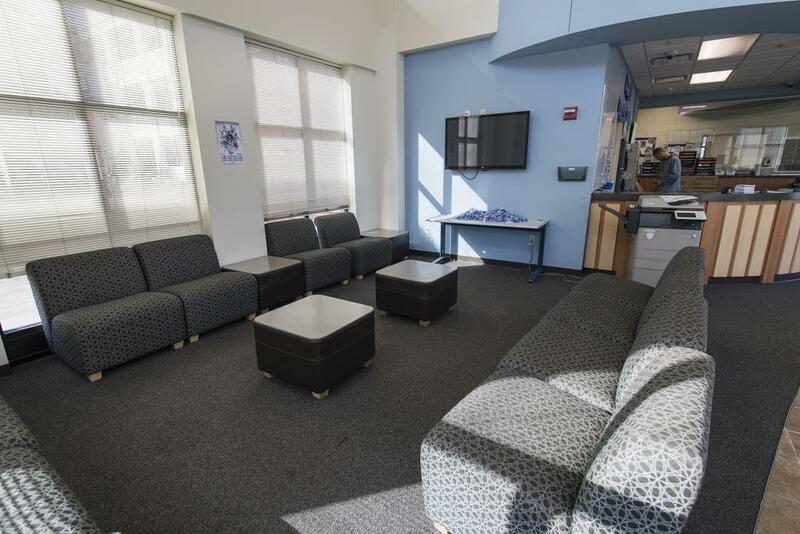 The lobby in Nicks Hall has a color television as well as comfortable seating for guests. Residents can wash and dry their clothes in a large, modern laundry room located on each floor of Nicks. 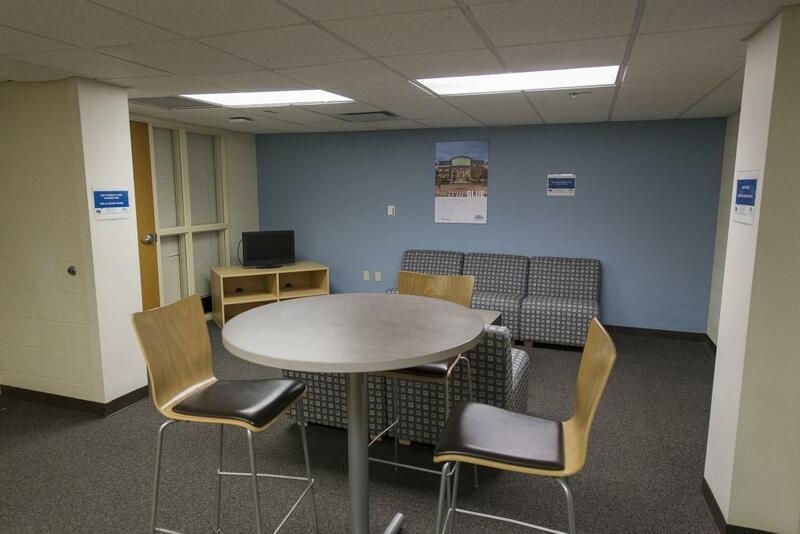 Desk services are 24-hours a day through the Deere Hall desk. 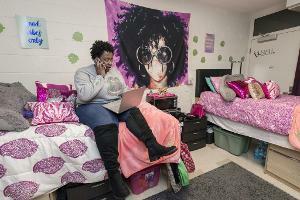 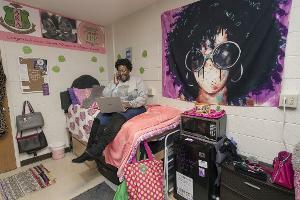 This is Meagan Roberts in her Deere Hall shared room. Deere and Nicks room layouts are identical so if you are interested in Deere, your hall will look just like this one! Shared room in Deere & Nicks Shared room in Deere & Nicks Front Desk in the Deere & Nicks Community Building Deere & Nicks Lounge Deere & Nicks Computer Lab. 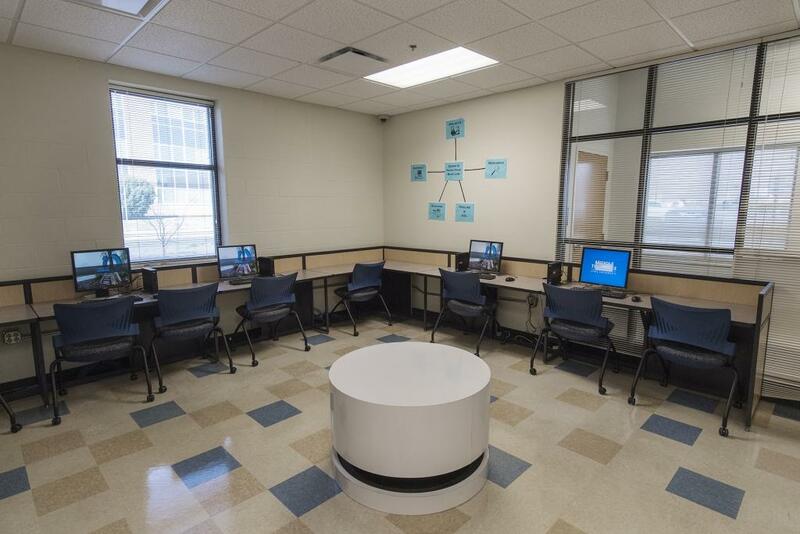 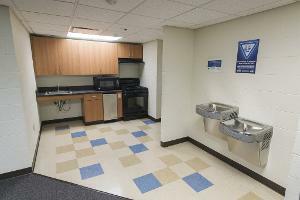 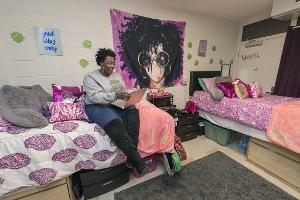 Both Deere & Nicks Halls also have study lounges, community kitchens and laundry facilities. Both Deere & Nicks Halls also have study lounges, community kitchens and laundry facilities. 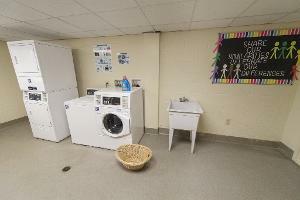 Both Deere & Nicks Halls also have study lounges, community kitchens and laundry facilities.